Perhaps you’re looking forward to retirement, with thoughts of being able to spend more time with family, catch up on reading, start a new hobby, pursue another line of work, and go back to school to get an advanced college degree, or travel to islands somewhere in the sun. To help ensure that your retirement goes according to plan, it’s important to prepare properly, which is not always an easy task. 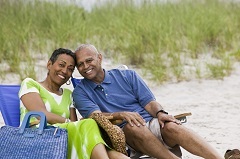 In addition to financial considerations, a number of stumbling blocks can hinder your chance to attain a satisfying retirement. According to a 2014 report by the Federal Reserve, 31 percent of people surveyed said they had no money saved for retirement, and among respondents older than 60, 20 percent admitted to never planning for retirement at all. If those numbers seem surprising, let them be a reminder that a satisfying retirement doesn’t happen by itself. If you aren’t sure how or where to start planning for retirement, make sure to do research or to speak with a professional sooner rather than later. 2. Not starting to save money soon enough. The sooner you begin saving for retirement, the more money you can end up having when the time comes. Don’t miss out on the extra money you could gain through compound interest. 3. Forgetting to budget for inflation. Your grandfather wasn’t kidding when he would tell you that a candy bar used to cost a nickel. Just as prices went up throughout his lifetime, they will go up throughout yours as well. Be sure to account for increased costs when planning your retirement or you may end up not being able to maintain the standard of living that you had originally planned. 4. Expecting to receive Social Security income. Unfortunately, you may not be able to count on Social Security to help fund your retirement. According to the 2012 report conducted by the Social Security and Medicare Board of Trustees, Americans younger than 40 should not rely on Social Security for retirement because of the significant decrease in scheduled benefits. The report recommends that to make up the difference, young Americans should invest differently and increase the amount that they save toward retirement.